What it’s like to turn 50 with gratitude. What it’s like to truly think of 50 as just a neutral number. The importance of surrounding yourself with people to help you when things get hard. How to focus on celebrating your 50th birthday with role models who age gracefully. Why you should feel blessed by the beautiful life you have. How you can take a social media break to help you stay present. The importance of feeling exceptionally grateful for the privileges you have. Fully appreciating the gift you have now, the people you love in your life, and being grateful. 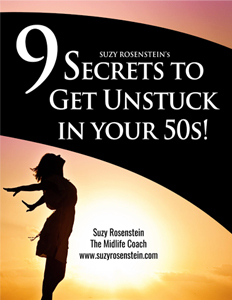 Turning 50 is a common milestone we Women in the Middle experience, but we don’t all experience it the same way. Today’s episode features another interview in the Getting Real with Women in the Middle Series. I will be interviewing women in the middle who are across the board in terms of views about this important milestone. Today’s guest is someone who celebrated her 50th birthday in style this summer surrounded by family and friends. Her name is Andrea Pines and she’s a neighbor and close friend of mine. I’m excited for you to meet her and hear her views on aging gracefully and experiencing this milestone. The thing about aging is that no two people think about it in quite the same way. Andrea is pretty clear about thinking of 50 as just a number. When you think of it this way, it’s neutral, not loaded with negativity. Andrea’s mantra is that she’s incredibly grateful and feel’s blessed. She believes that you have choices about how you think about things, including how you care for your aging body. You an definitely be “nifty at 50” and never take it for granted. When you continue to be present and really focus on spending quality time with those you love, it’s not that hard to feel grateful.